I've been irritated by Marks & Spencer ever since they loftily decided that for our own good we shoppers would pay for plastic bags and they would decide to which charity the proceeds would go. A colleague has had a not disimilar moment of conversion. 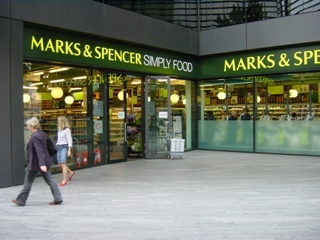 He tells me that he was at pains to point out to M&S this morning that the RPI is around 5%. So how then did they justify putting up the price of his usual sandwich by 18% over the weekend?